Ink/Stitch aims to be a full-fledged, crossplattform embroidery digitizing platform based entirely on free, open source software. Our goal is to be approachable for hobbyists while also providing the power needed by professional digitizers. I've been using Ink/Stitch exclusively in my freelance digitizing work since the beginning of the New Year . Finally made it possible for me to only go into my Windows VMs for nostalgia only and not a necessity for day to day work. 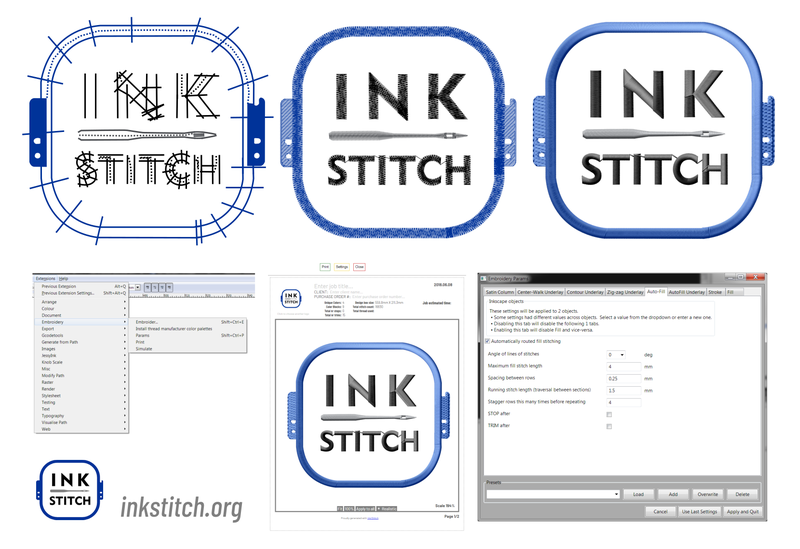 April 21, 2019: Ink/Stitch v1.24.0: no language selection inside Inkscape! April 10, 2019: Ink/Stitch v1.23.0: underpathing for fills and so much more!